As a competitor with coal, oil, and other fossil fuels, nuclear power in the United States has had mixed success since the 1960s. While Connecticut Yankee operated for nearly 29 years, generating over 110 billion kilowatt hours of electricity, high operational costs led to its closing in 1996. Maine Yankee also closed in 1996; Yankee Rowe closed in 1992. Low oil and natural gas prices; increased safety regulation; periodic plant shutdowns; and public concern about the dangers of radiation leaks and waste were important factors. 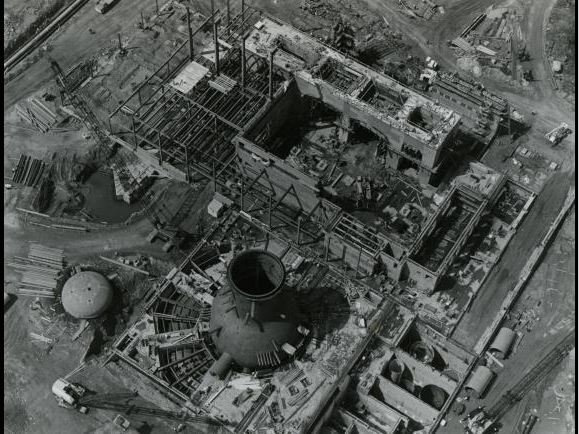 Connecticut Yankee was decommissioned, a process that included dismantling the plant and constructing a facility for the long-term storage of spent nuclear fuel and high-level radioactive waste. This project was completed in 2007. The five-acre storage facility is all that remains on the Connecticut Yankee site. The Nuclear Waste Policy Act of 1982 requires the US government to build and operate a national storage facility for spent nuclear fuel and high-level radioactive waste. 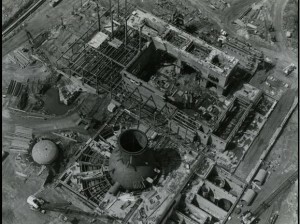 Until this occurs, Connecticut state law prohibits the construction of additional nuclear power stations in the state. 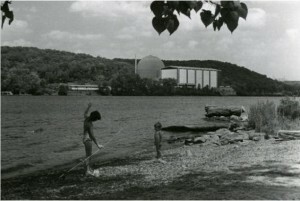 However, two reactors at the Millstone Power Station, added to the plant in 1975 and 1986, continue to operate, generating nearly 50% of the electricity produced in Connecticut today. Spent nuclear fuel and waste continue to be stored onsite until a national storage facility is built. Millstone Power Station’s first nuclear reactor was closed in 1998 and is currently being decommissioned. For many today, as in 1968, expectations for nuclear energy remain high yet its future remains uncertain. “Connecticut: State Profile and Energy Estimates.” U.S. Energy Information Administration - Independent Statistics and Analysis, 2017. Link. McCarthy, Kevin. 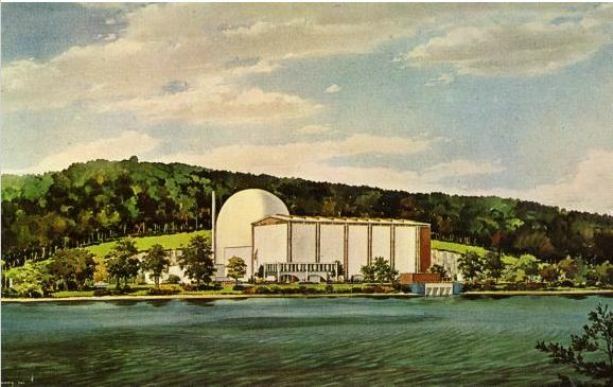 “OLR Research Report: Nuclear Power in Connecticut.” State of Connecticut, General Assembly, May 26, 2010. Link. McCarthy, Kevin. “OLR Research Report: Storage of Nuclear Waste in Connecticut.” State of Connecticut, General Assembly, April 4, 2011. Link. “Atoms Now Light Homes.” Hartford Courant. January 14, 1962. “Connecticut Atom Plant Likely to Close.” New York Times. October 10, 1996. “Huge Nuclear Vessel on Move.” Hartford Courant. February 25, 1966. 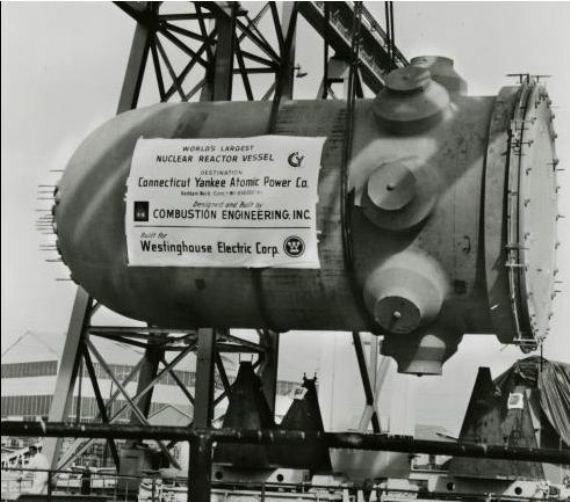 “State Awaits Connecticut Yankee, Nation’s Largest Nuclear Plant.” Hartford Courant. February 3, 1963. Colonel Augustus G. Hazard, Gunpowder Manufacturer – Who Knew?